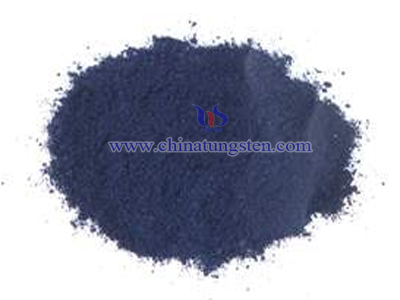 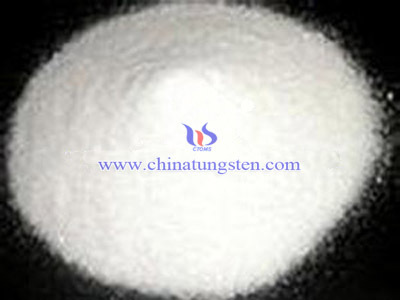 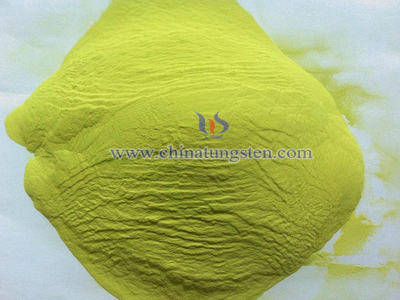 Sodium tungstate solution as raw material, preparation ammonium metatungstate solution by solvent extraction or ion exchange, solvent extraction and ion exchange which is basically the same process and the preparation of ammonium paratungstate. 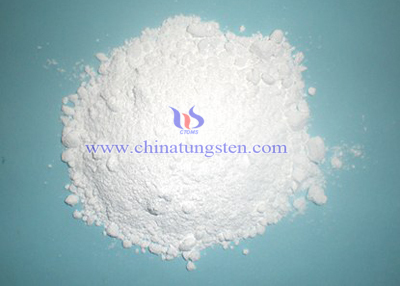 The difference is in the back-extraction (or desorption) operation, stripping agent (or desorbent) and amount of different concentrations in the solution was maintained at pH 3 to 4 cases, back-extracted (or desorption) obtained metatungstate ammonium solution. 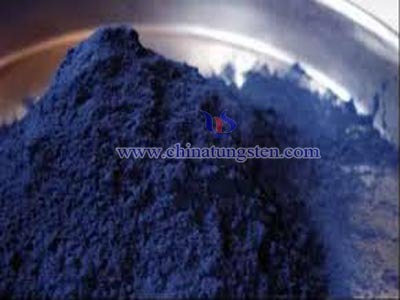 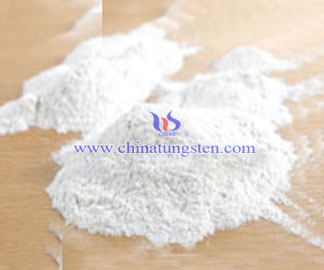 This method in general APT production process, unnecessary use of stripping agent (or desorbent) can be produced under conditions of AMT solution, so it is a simple method. 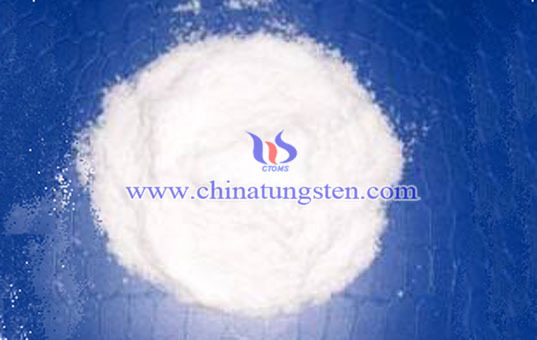 Ammonium tungstate solution as a raw material by solvent extraction or ion exchange, then the cationic extractant (or a cation exchange resin) and extracted (or adsorbed) ammonium tungstate solution [NH4] + ion, and then with a suitable stabilizer and can output under the condition of pH AMT solution, which is both simple and economical method. 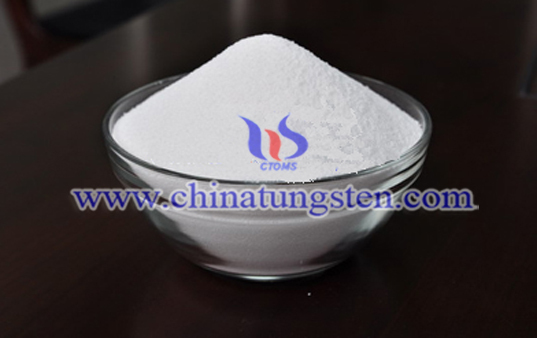 ammonium metatungstate solution solvent extraction or ion exchange method was the same was concentrated crystals or spray drying to take ammonium metatungstate products.